Venetian Blinds provide a practical way to dress any window. 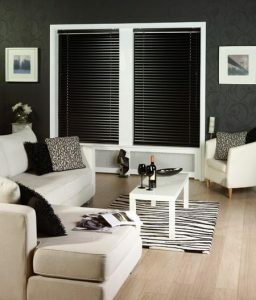 The blinds compliment any colour scheme in a room. Above all, the large range of colours provides a main focal point. Slats available include gloss, thermal, pattern in addition to wood effects. All blinds are built from Aluminium horizontal slats. Significantly all slats, supplied from the Hunter Douglas group. The group form is a major player within the industry. As a result only quality items are sold online. In reality all slats are suitable for commercial or domestic use. At the same time, the collection fit all budgets. The blinds control the amount of light entering a room. In addition, a wand mechanism controls privacy opening as well as closing the slats. While, they can be raised and lowered by pulling the cords. Slat size includes 25 mm wide as a result of previous customer’s sales. All Venetian blinds are made to measure. Safety is a key factor, all blinds come with the latest safety mechanism. View Collection in Milton Keynes at home or work.